When talking about children issues or children sleep disorders, many parents concern about bedwetting which is highly common children issue. So, if your child also suffers from this concern, then causes of bedwetting is necessary point to learn. This article will let you know what exactly bedwetting is and several causes that encourage this disorder as well. Basically, bedwetting is referred to unintentional urine passage while sleeping. 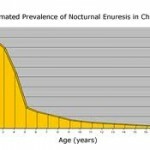 It is also named as nocturnal enuresis or urinary incontence. For children, the urination is quite involuntary. For infants, it is normal, yet with time, they learn to control on bladder and thus, bedwetting gets controlled. Like other sleep disorders, bedwetting also creates issue in children sleeping and wake them up at night. Though, it is commonly found condition in most of the children, but this habit gets fine as children grow up. Still in case, there is no change in bedwetting issue in children, then certainly it would be a matter of concern. In 30 percent children, this issue starts at the age of 4 years, in 10 percent children; it occurs in 6 years of age and only 1 percent bears this issue by 18 years of age. It is seen that mostly at the age of 6, boys get control on their bladder, and however girls find their control on bladder at 5 years of age. Like other sleep disorders or health issues, bedwetting also have some causes which encourage such condition in children. The complete study of causes of bedwetting and types of bedwetting will help you understand this issue in better way. Mainly, bedwetting is categorized in two types which are Primary bedwetting and Secondary Bedwetting. In primary condition, the child wets his or her bed after 6 year of age and it is a hereditary condition. The secondary type refers to that condition, in which child already stops wetting his or her bed, but again starts wetting. It occurs because of medical condition or mental stress often. There can be varied causes of bedwetting in which following are few strong ones. Stoppage in development of the control of bladder. Genetics sometimes can be counted as bedwetting causes. Habit of deep sleep in children also promotes bedwetting issue. It is because in deep sleeping condition, the children become unaware of urination cues. Small damage in nerve also sometimes causes bedwetting as it decreases the ability of children to sense their full bladder. Indeed, to shoot out bedwetting issue from your child’s life, you have to trigger particular causes of bedwetting. When you will work on exact cause, the main issue will automatically eradicate and thus, your child will live up a happy life.